Asked about Icardi – who has scored nine league goals and 15 in all competitions this season – Argentine great Batistuta said: "He has always scored goals and it seems to me he still has a much greater potential. "He can show us he can do a lot more than he has shown so far. We could say that, as a player, he is already an accomplished one." 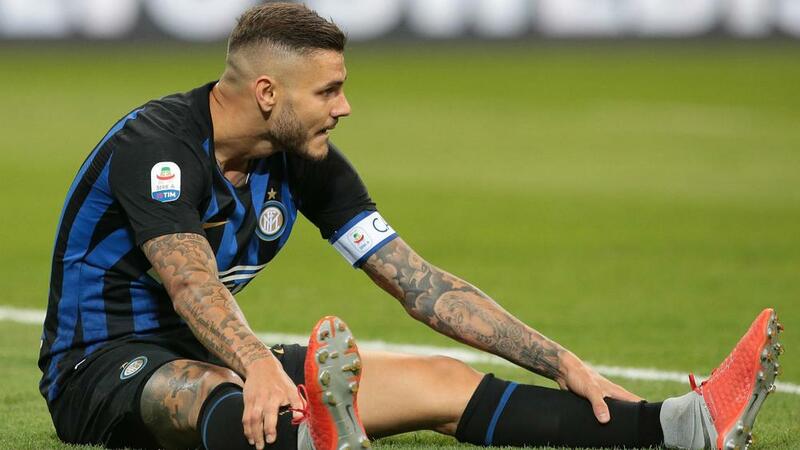 With questions still being asked about Inter's decision to remove Icardi as captain, general manager Giuseppe Marotta refused to reveal the reason. "In a club, there are some dynamics that cannot be made public," Marotta said. "The decisions must be made with a sense of responsibility. "We didn't want to punish anyone, that's just a fact. We reached that point because our job within the club is to protect the coach with the objective of respecting the 'community' of the squad. I am not talking about the Icardi issue. "If you want to step out there on to the field and deliver, you need a team spirit. One of the most important objectives of a club and coach is to respect that."